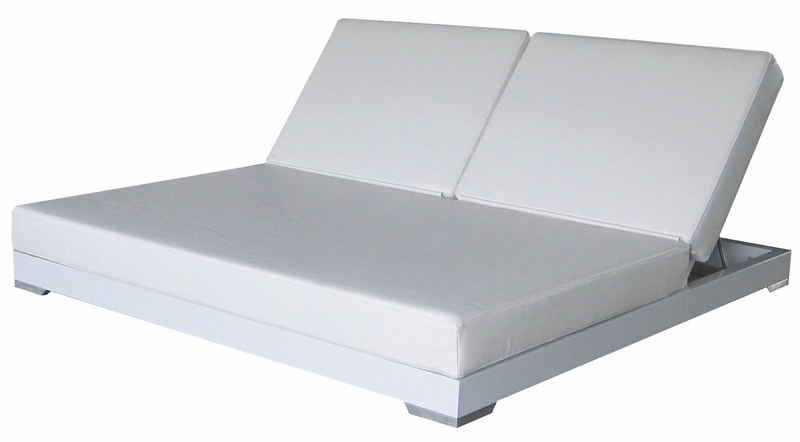 Luxury outdoor chaise lounger, PVC leather white, with powder coated aluminum frame. 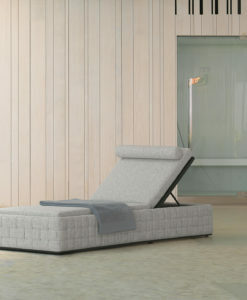 Arrangeable reclining positions, this chaise is perfect for Contract projects. 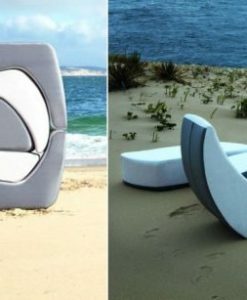 Indoor and outdoor use. 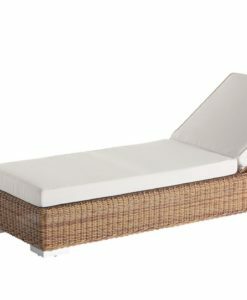 Available in a double chaise lounger or Daybed, this collection is perfect for any outdoor set up. 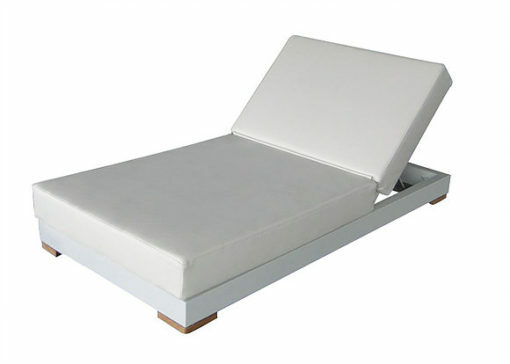 Modern aluminum dry foam chaise lounger is innovative and carefully scaled design. 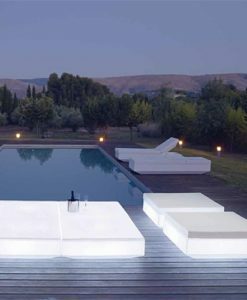 Sleek, waterfall lines combined with powder coated aluminum light provide a chic design rarely found outdoors. 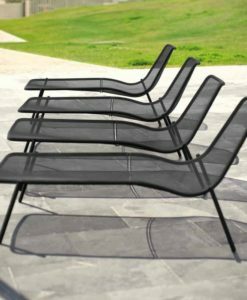 Lounge in style with modern aluminum dry foam chaise lounger, and create your own serene outdoor space. 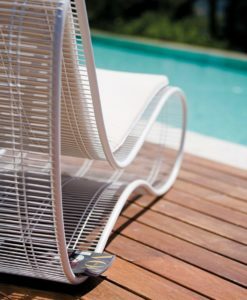 Modern aluminum dry foam chaise lounger is unique, its design spans multiple styles and is a beautiful addition as a contemporary, modern piece to your home. 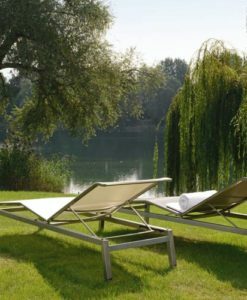 This adjustable chaise lounger offers deep seating in a high quality, weather resistant aluminum. 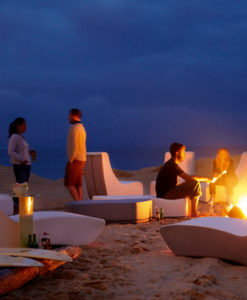 Outstanding comfort is provided by PVC leather cushions, that is stuffed with quick-dry foam. 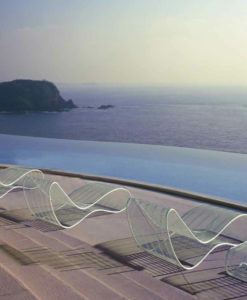 Polyvinylchloride (PVC), also commonly referred to as vinyl, is essentially a flexible plastic made from PVC resin, various fillers, and additives such as plasticizers to manipulate its softness, color and texture. Once the desired fillers have been added, PVC is used to coat one side of a knit or woven fabric backing and sometimes a center layer of foam. 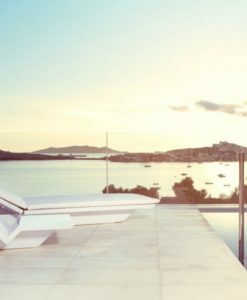 This versatile fabric provides a durable surface that is impervious to moisture and inherently flame resistant, making it ideal for marine, healthcare and high traffic hospitality and commercial environments. 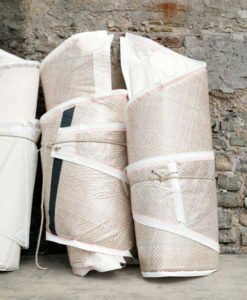 Despite its flame resistant qualities, the addition of flame retardants is typical during manufacturing to meet fire code standards. 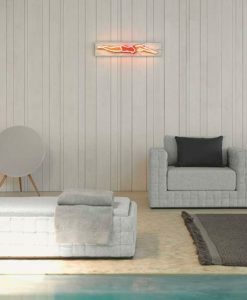 Although PVC resin is comparatively inexpensive to genuine leather, price is often determined by the cost of the additives used to make the finished product. 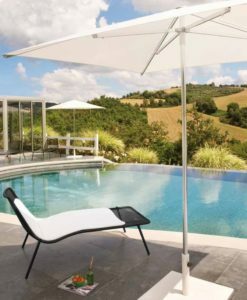 The environmental effects of PVC have continued to improve over the years, lowering emissions and hazardous waste.